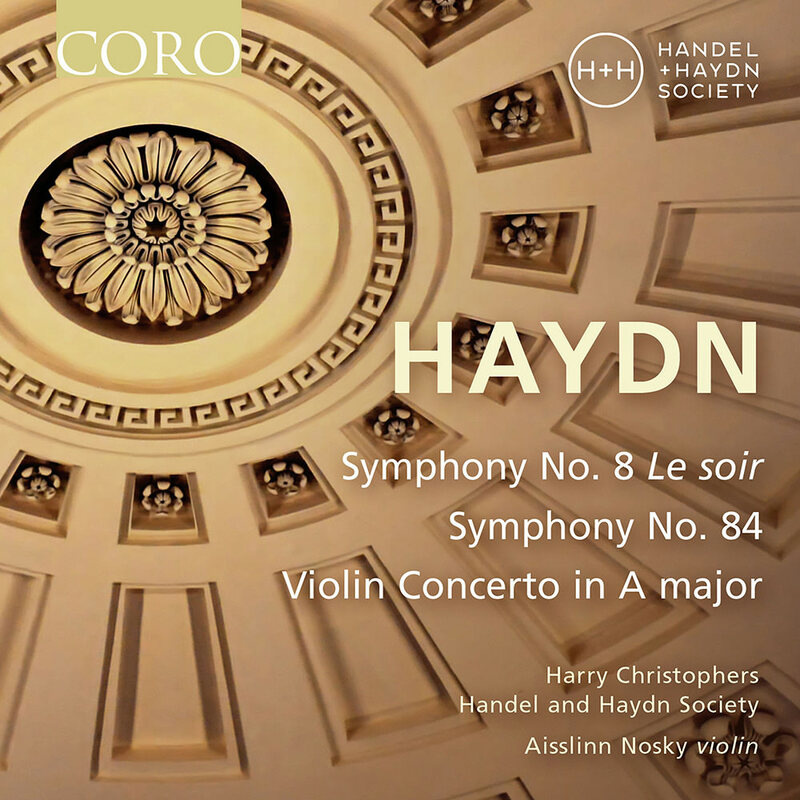 Symphony No.8 in G Major, Hob.I:8 "Le Soir"
On the third volume in their acclaimed series, Harry Christophers and the Handel and Haydn Society present a live recording devoted to the master of the symphony, Joseph Haydn. The album showcases the Symphony No. 8 and the later Symphony No. 84, displaying the evolution of Haydn’s compositions over the course of his career. Not only is the later symphony an incredible fusion of grace, brilliance and warmth, but it contains one of the most striking wind band solos in all of his Paris symphonies. Completing the programme is the Violin Concerto, performed by H+H’s fiery and expressive concertmaster Aisslinn Nosky.